Before arguing, please recognize basic facts, folks. Japan had authorized brothels then. 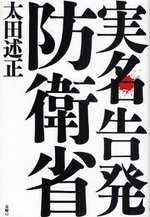 Japanese Imperial Army’s policy was that authorized brothels should be established around the military bases abroad so that rapes against the natives by their soldiers would be prevented.Total numbers of such prostitutes were about 20,000, of which 70% were Japanese, 20% were Korean, 10% were Chinese.Those Prostitutes were all paid lavishly.